The Hottest in Contemporary Design. Inspired by the European soccer-shoes of yesteryear. Genuine, hand-crafted leather upper. Cushioned sole and ankle for maximum comfort. High fashion for a variety of occasions. PLEASE BE ADVISED: Due to the unique Camper sizing schedule, the US size on the Camper Box is slightly larger than the actual size. Please refer to the US conversion designated in parenthesis in the size options. Example: if the Camper Box says US 10, it's actually US Sizes 9-9.5. Fun and flirty wedge with ankle strap. Superior leather upper provides added comfort and durability. 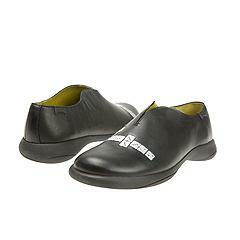 Rubber sole provides all durable traction. A double dose of creativity and personality all in one pair. Superior leather upper provides added comfort and durability. Rubber sole for great traction. Before Camper, shoes were basically rational, symmetrical, and functional. Twins, the original created in 1989, took a different path. Camper asked the question why shoes had to be the same. Twins are asymmetrical, complimentary, each unique with its own personality, yet together they create a special harmony. A true compliment for those of you who defy the rules. Feel the domino effect! A double dose of creativity and personality all in one pair. 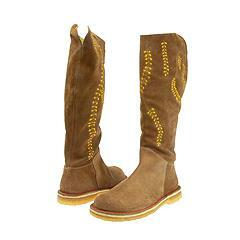 Superior leather upper provides added comfort and durability. Before Camper, shoes were basically rational, symmetrical, and functional. Twins, the original created in 1989, took a different path. Camper asked the question why shoes had to be the same. Twins are asymmetrical, complimentary, each unique with its own personality, yet together they create a special harmony. 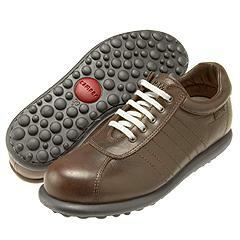 Rubber sole provides all durable traction. A true compliment for those of you who defy the rules. A double dose of creativity and personality all in one pair. Superior suede upper provides added comfort and durability. Inside zip entry for easy on/off. 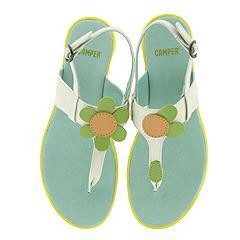 Before Camper, shoes were basically rational, symmetrical, and functional. Twins, the original created in 1989, took a different path. Camper asked the question why shoes had to be the same. Twins are asymmetrical, complimentary, each unique with its own personality, yet together they create a special harmony. Rubber sole provides all durable traction. A true compliment for those of you who defy the rules.